Today was a weather induced catch-up day, hence being a good time to thank some special guests who visited us during the last week. 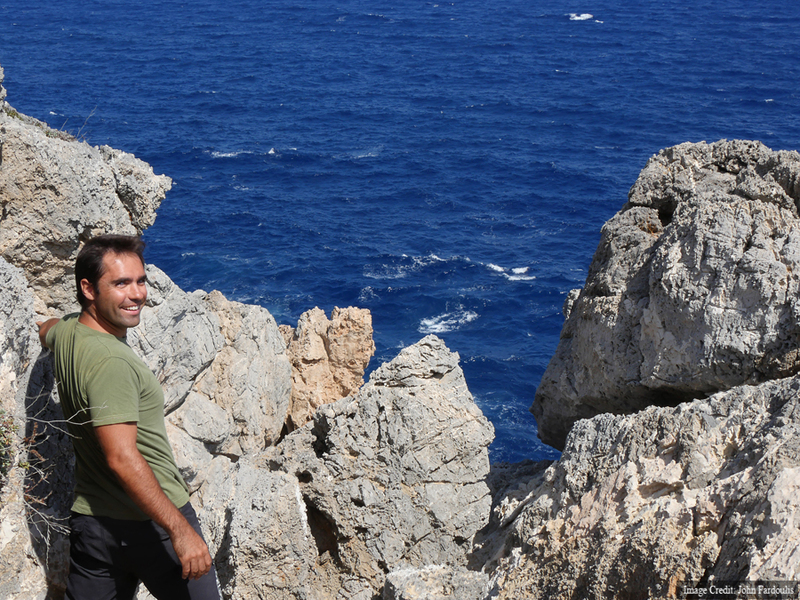 Mathias Buttet being welcomed to Antikythera by Yanis Bitsakis. 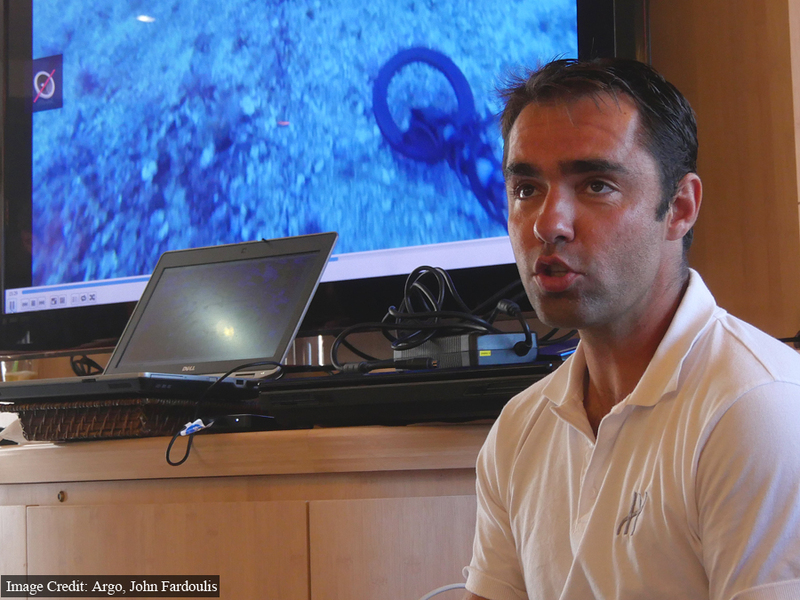 Mathias Buttet, R&D Director at Hublot, visited Antikythera and presented King Power Oceanographic 4000 diving watches to our lead divers. These watches are depth rated to 4000 meters, roughly the depth of the Titanic. 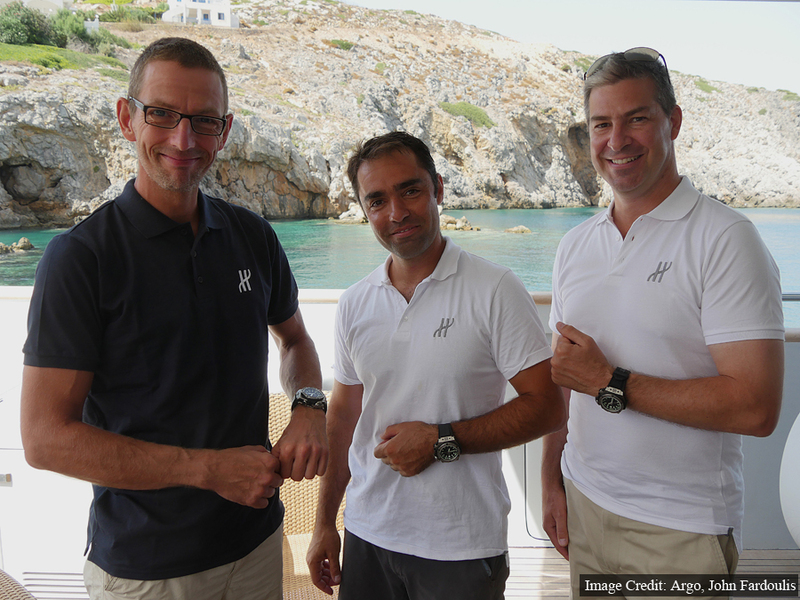 They are the official diving watches of the “Return to Antikythera” expedition. Lead divers Phil Short, Alexander Sotiriou and Brendan Foley were presented with Hublot King Power diving watches by Mathias Buttet. The team was also blessed by the Metropolitan of Kythera, Bishop Serafim, accompanied by the new mayor of Kythera and Antikythera, Efstratios Charchalakis. 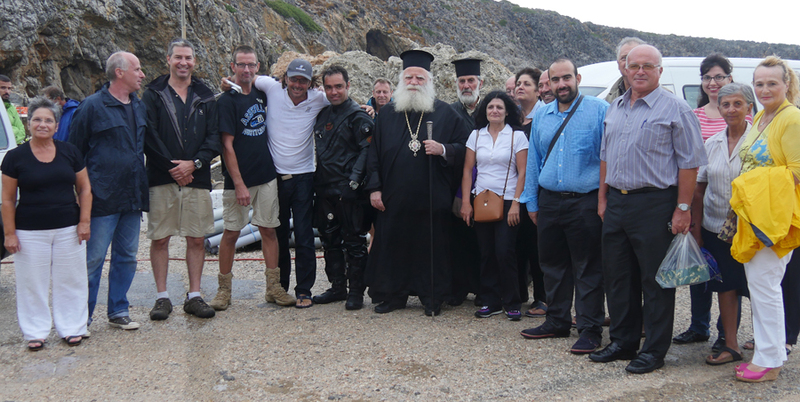 The Return to Antikythera team with the Bishop of Kythera & Antikythera, Mayor of Kythera and Antikythera and guests. John Fardoulis, Bishop Serafim & Brendan Foley. 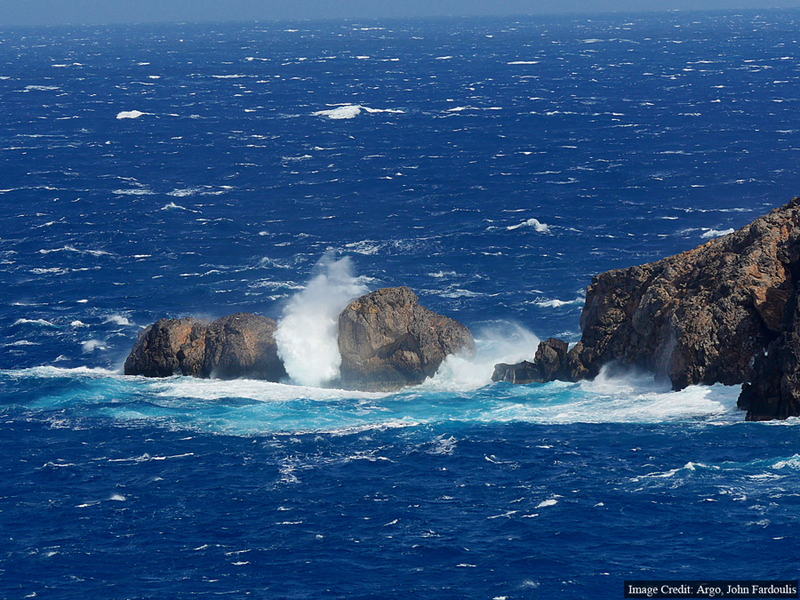 The weather has really blown up in Antikythera, giving us a taste of how harsh conditions can be. No wonder there are many shipwrecks in the region. 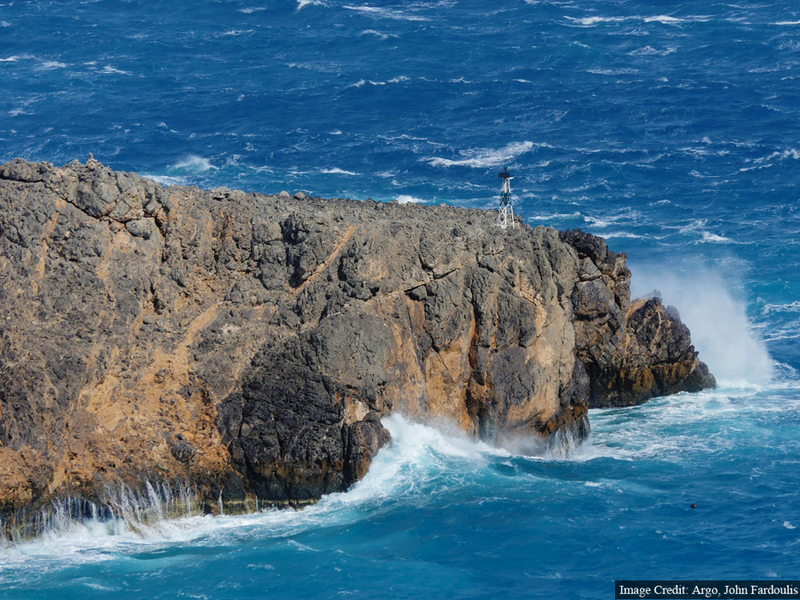 It’s not safe to dive at the moment, and it looks like it won’t be for another couple of days. Today’s ferry was cancelled. 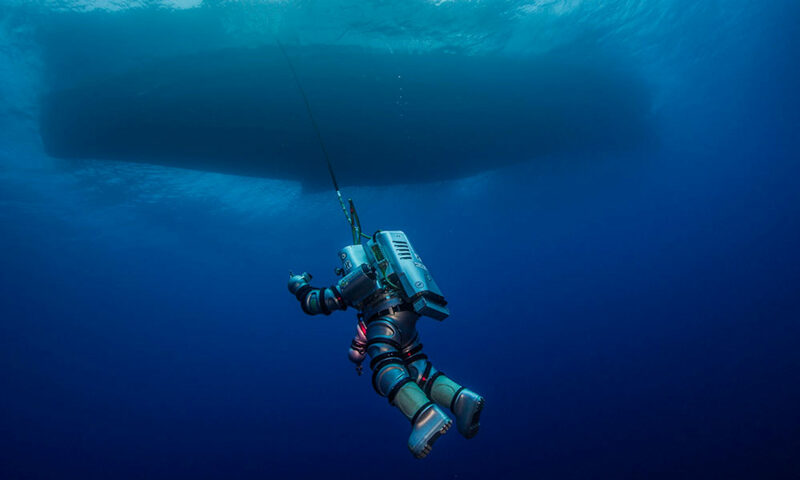 Thetis is anchored safely in Vatika Bay (near Neapolis) with the Exosuit on board (40 nautical miles away), and GLAROS is seeking shelter in Vatika Bay as well. 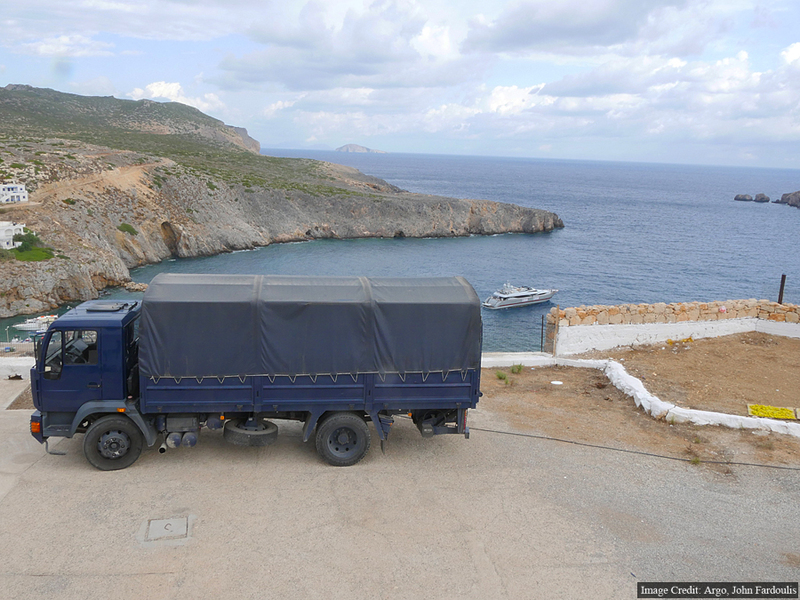 Two of the six man Hellenic Navy Seal (O.Y.K) team who are part of this year’s expedition have arrived with a truck filled with equipment, and are preparing for in-water operations during the excavation phase of the project. Even though the weather is too bad for diving, lots is still going on. The navy seal truck that arrived at 3.30 am this morning. Preparing lots of equipment for the six man team. 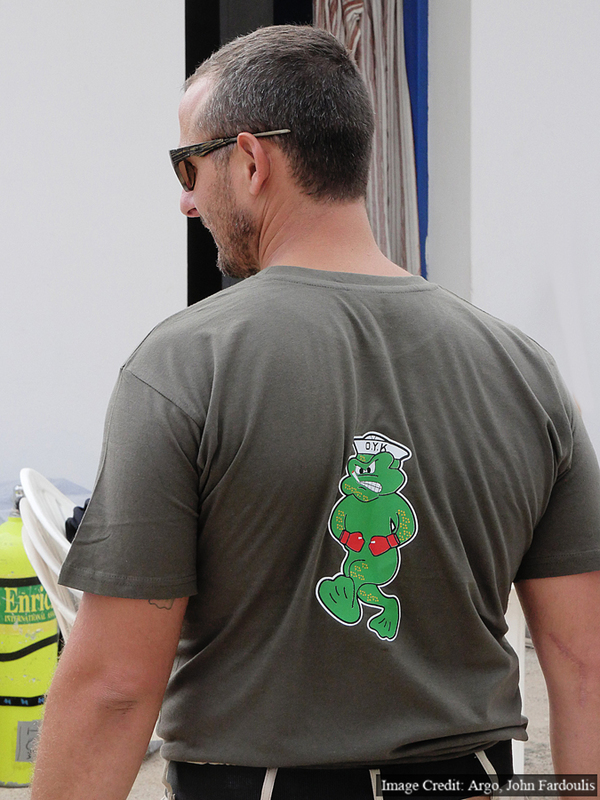 Hellenic Navy Seals are known as O.Y.K. The dive plan for today was to secure the second mooring line and a little metal detecting but more was accomplished than expected. 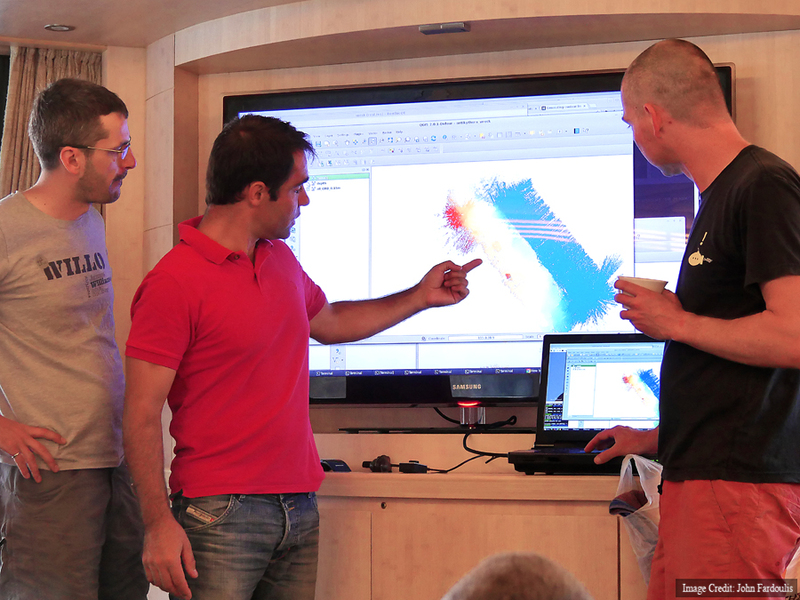 Phil Short providing a post-dive team briefing on board GLAROS*. Alexander Sotiriou explains what he thinks should happen next. 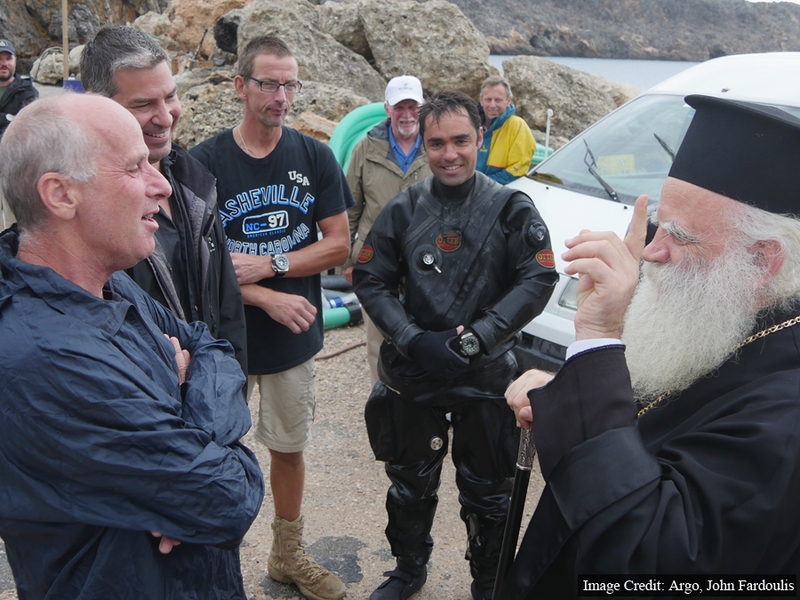 The Metropolitan of Kythera & Antikythera, Bishop Serafim came to Antikythera today to bless the team. 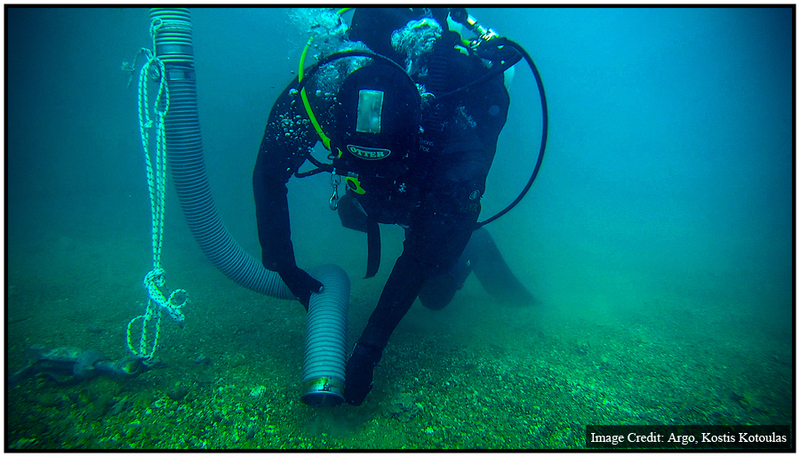 A roman anchor located last year was also worked on, and is ready for retrieval after being photographed. Another prime target was also located, which will require excavating to reveal its true identity. This will be a priority for when excavating takes place. Unfortunately we have strong winds forecast for several days, meaning that mother nature might force the team to take a break. 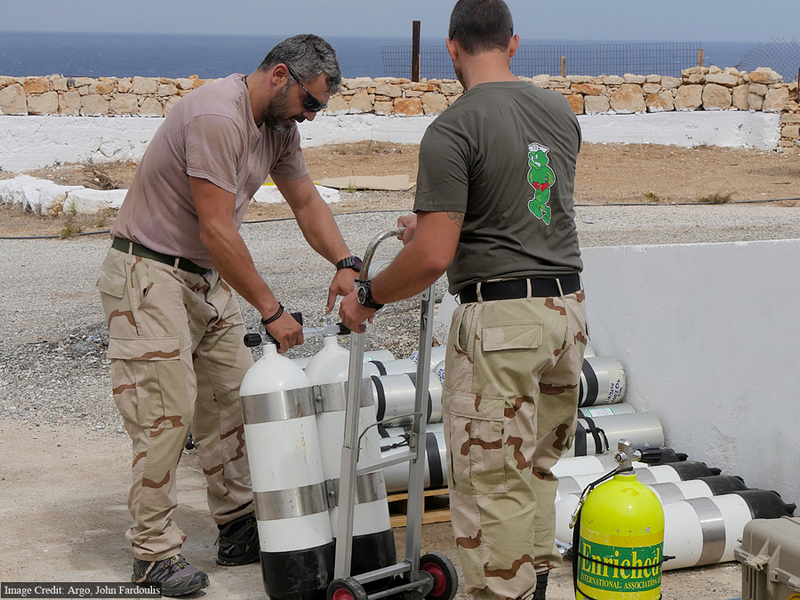 The navy ship with Exosuit on board is now at Neapolis, waiting for the weather to improve, to head to Antikythera. 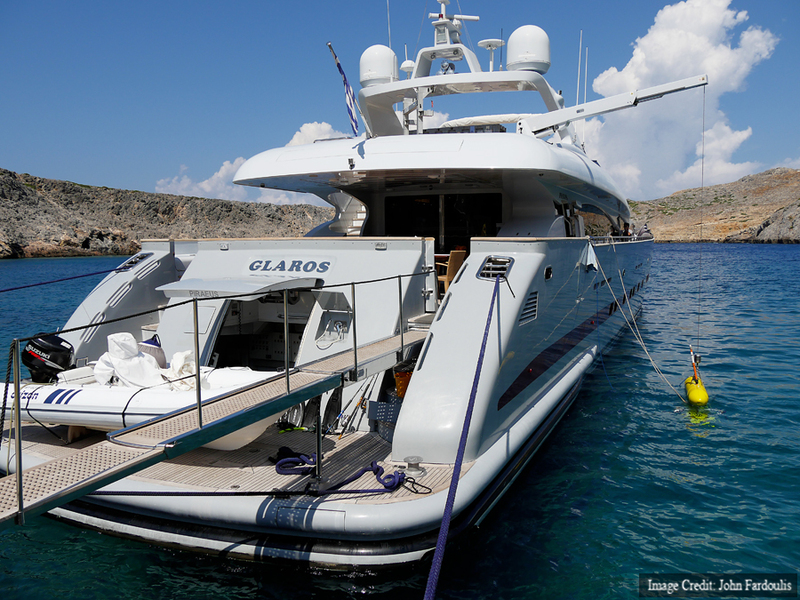 * The yacht GLAROS, has been generously provided by the Aikaterini Laskaridis foundation as a research vessel for the project. 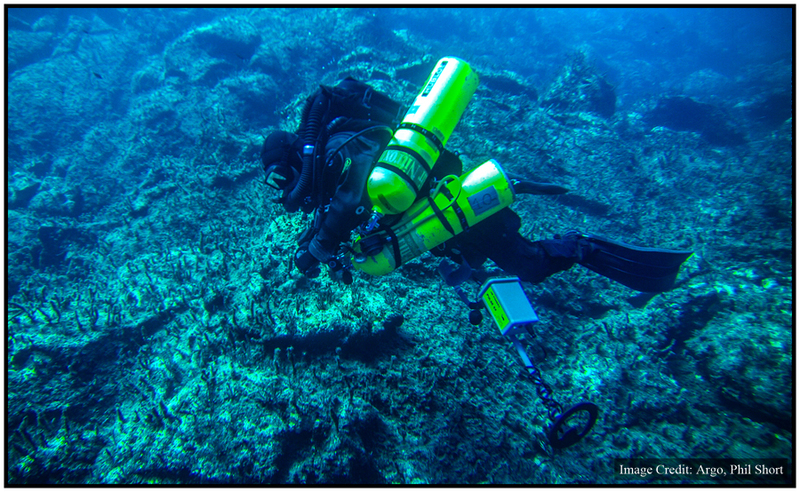 The first working dive of the 2014 expedition took place on the Antikythera shipwreck today, with lead divers Alexander Sotiriou and Phil Short laying a mooring line and conducting a metal detector survey. 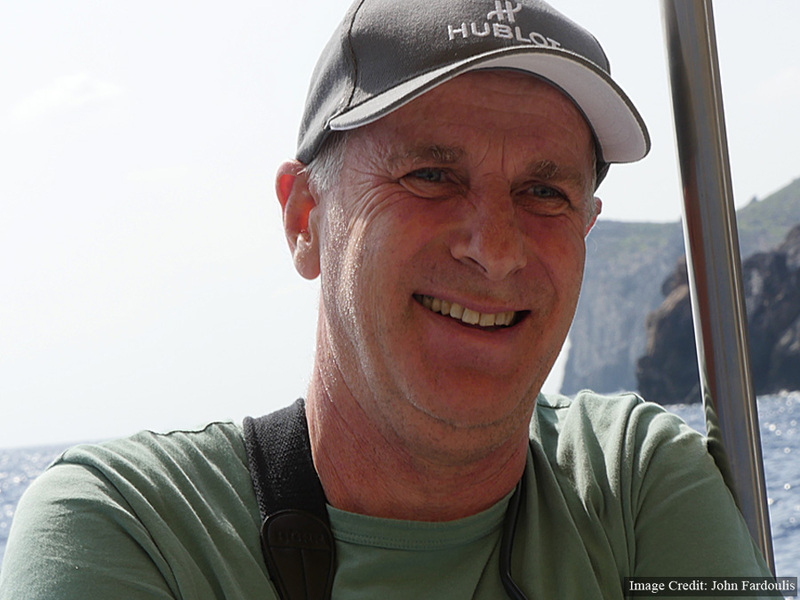 Phil Short on the Antikythera wreck site. Phil and Alexander Sotiriou spent an hour on the bottom today, diving on closed circuit rebreathers with a helium mix. After today, they’ve probably clocked up more bottom time on the Antikythera shipwreck than anyone else in history. 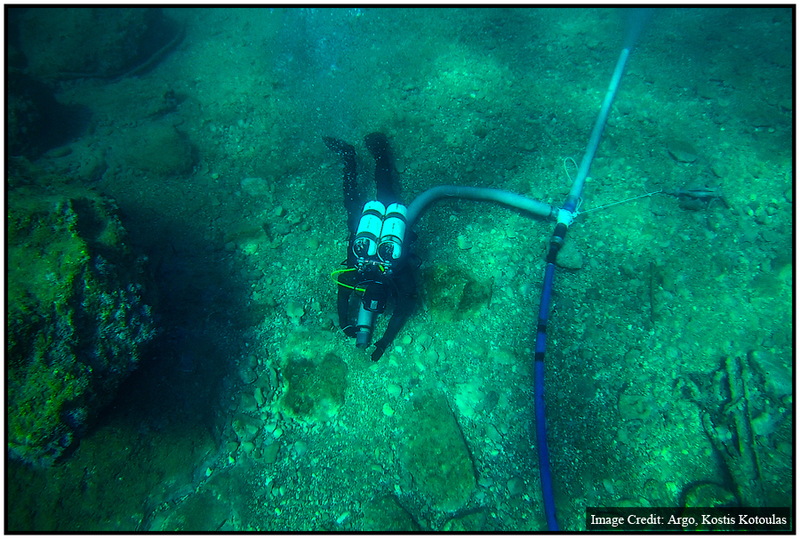 Conducting a metal detector survey of the Antikythera wreck site. A number of interesting targets were located, as well as the retrieval of a small metal object, which may be ancient. 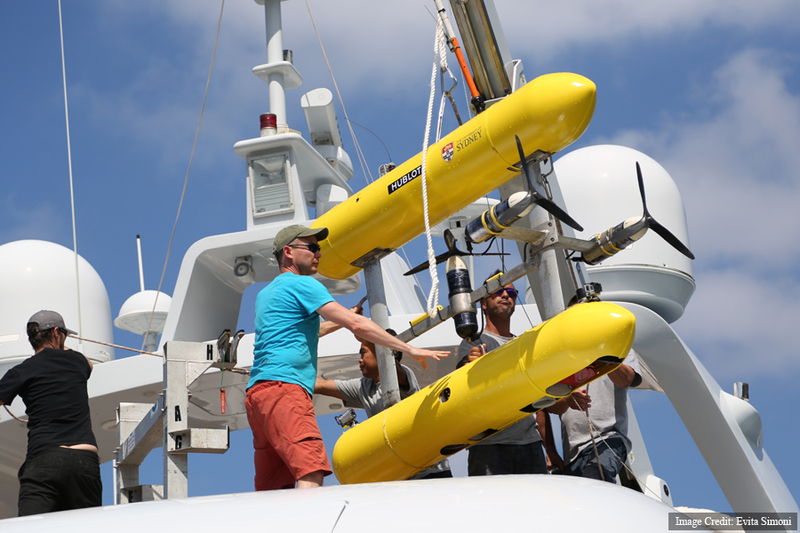 Digital mapping of the Antikythera shipwreck is done for 2014, with the engineers from the Australian Centre for Field Robotics, University of Sydney spending the day processing data collected by Sirius, the underwater robot. The diving team is getting ready for the next phase, which will be a metal detector survey, then opening some test trenches to see what may lay beneath the sand and silt on the wreck. 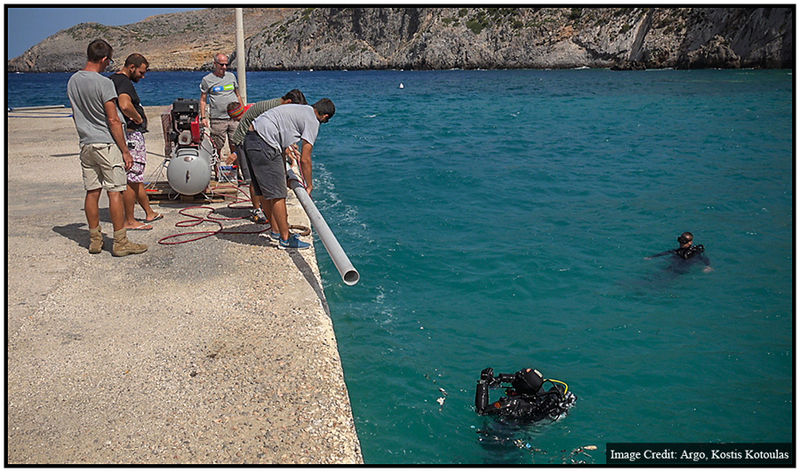 Diver, Athanassios Chronopoulos testing the hydrolift near the port of Potamos in Antikythera. 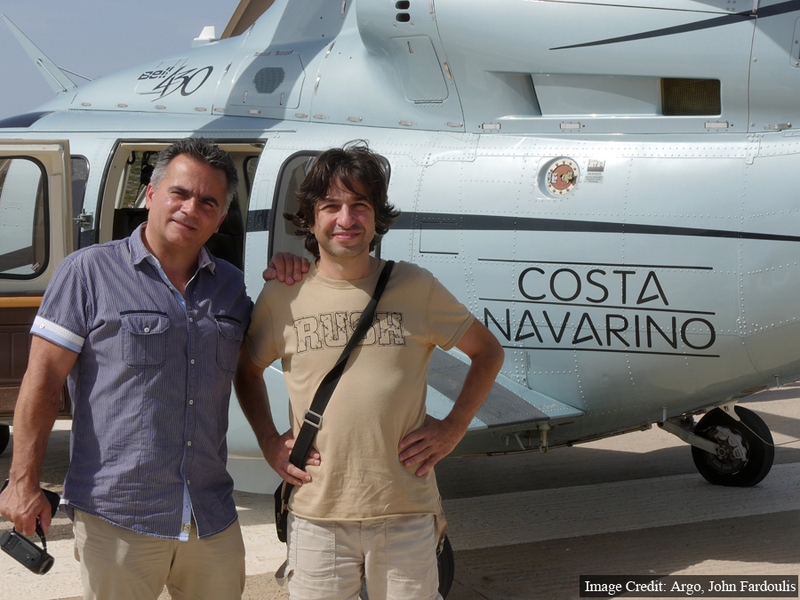 And testing an airlift near the Antikythera port of Potamos as another option. 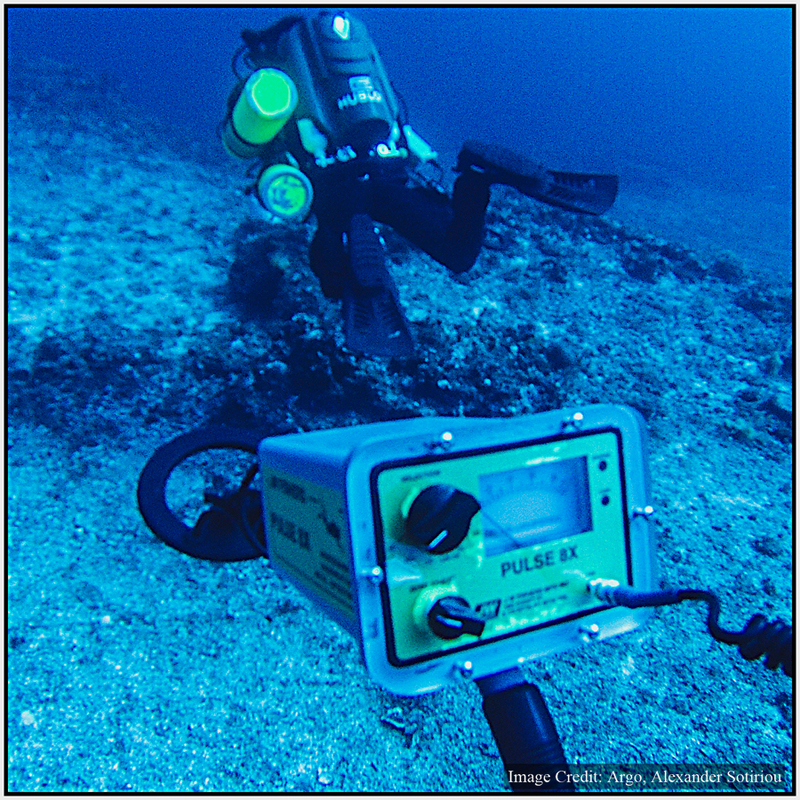 The first phase of the 2014 project, creating high resolution 3D maps of the Antikythera shipwreck site has been completed using Sirius, the underwater robot (Autonomous Underwater Vehicle). 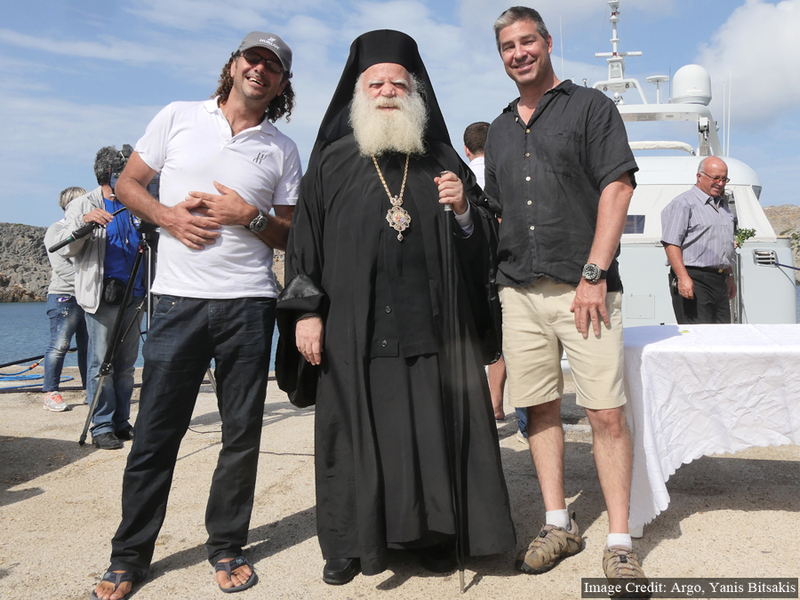 This phase of operations was made possible by the generous support by the Aikaterini Laskaridis Foundation, who has provided the yacht GLAROS as a research vessel for the duration of the expedition. Operations briefing on board GLAROS. 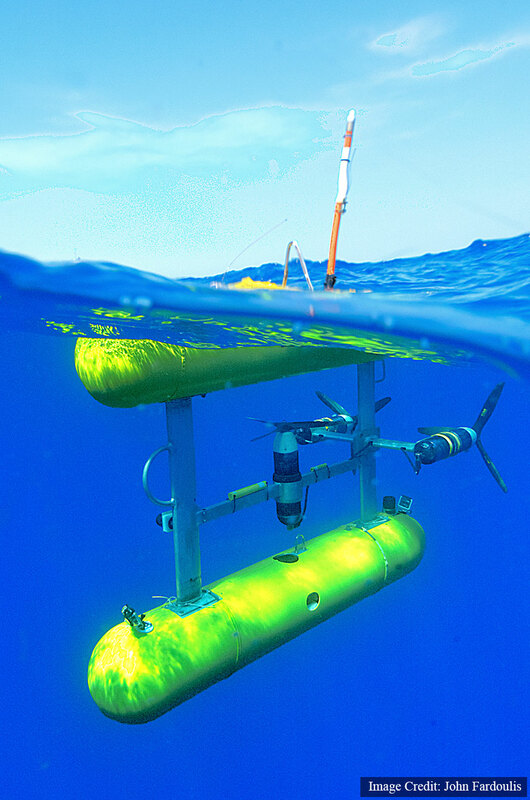 The yacht GLAROS retrieving Sirius, the underwater robot. Sirius weighs approximately 250 kilograms, meaning that a substantial vessel, with a crane is needed for deployment. 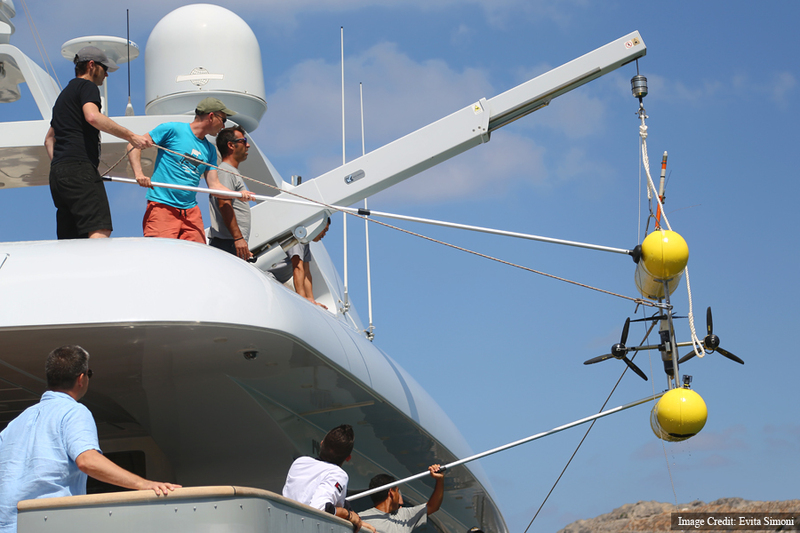 Enter the yacht GLAROS, which served as launch and retrieval platform for the underwater robot and also provided accommodation for the engineers from the Australian Centre for Field Robotics, University of Sydney. 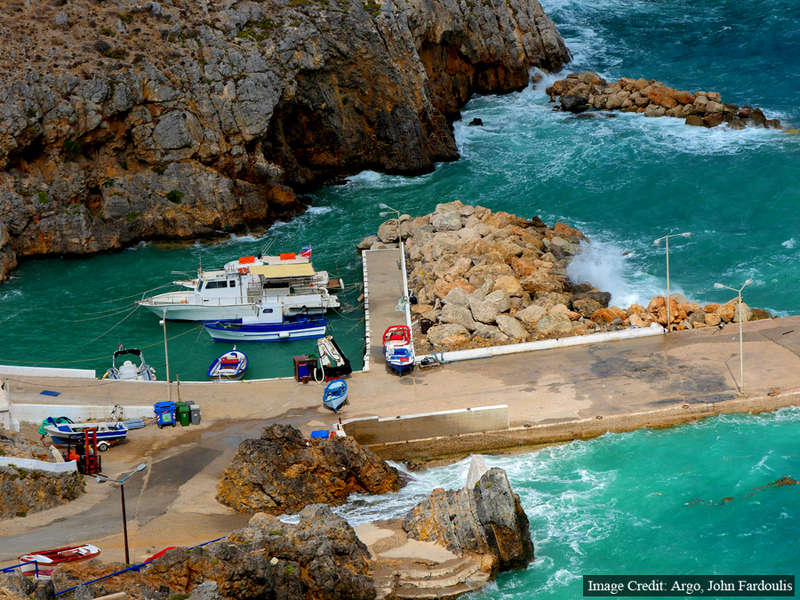 The Aikaterini Laskaridis Foundation was established as a non-profit making organization on April 24, 2007 by a Presidential Decree and the authorization of the Ministries of Education, Culture, Finance and Mercantile Marine. Wishing to advance the already successful development of the Aikaterini Laskaridis Library and to expand its activities, Panos and Marilena Laskaridis located the Foundation in a private renovated building in Piraeus, hometown of Aikaterini Laskaridis. The Aikaterini Laskaridis Library, founded by Constantinos Laskaridis in 1993 in memory of his wife and originally based in a neoclassical 19th century building of N. Faliron, has been fully incorporated into the Foundation. The President of the Library is Marilena Laskaridis. The Library consists of over 28.000 titles and its collection is being consistently enhanced. The Aikaterini Laskaridis Foundation’s primary objective is the national and worldwide advancement of Greek culture as well as research in History and Greek Maritime Heritage, Tradition and Merchant Navy. 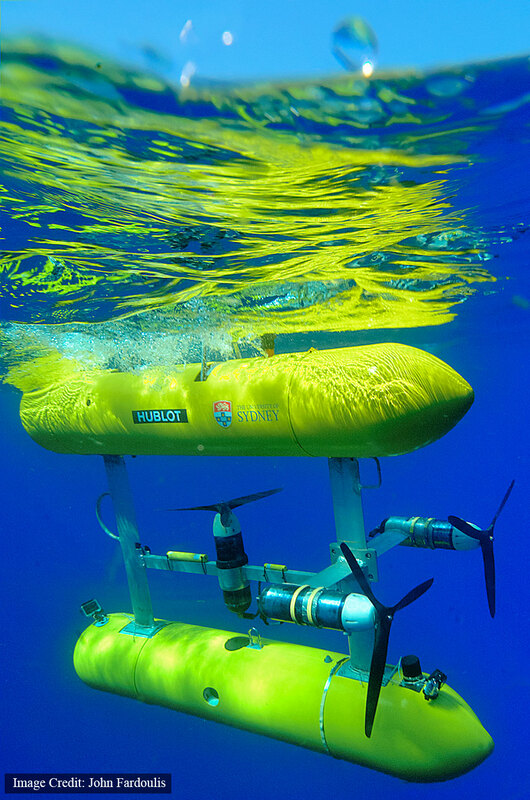 One of the primary tools so far has been Sirius, the underwater robot, aka. 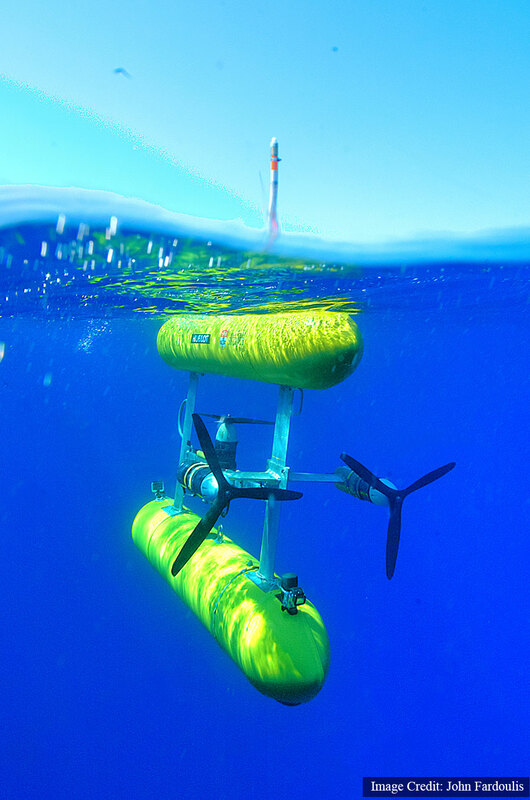 Autonomous Underwater Vehicle (AUV), from the Australian Centre for Field Robotics. It has completed several missions over the Antikythera shipwreck, firstly conducting multi beam sonar runs, and then stereo photogrammetry passes, in order to stitch thousands of photos together and create a very high resolution map of the area. Some missions have been in excess of two hours each, emphasising one of the key benefits of using a robot is that humans aren’t exposed to difficult conditions. Here’s a video taken by Phil Short of Sirius in action over the Antikythera shipwreck. 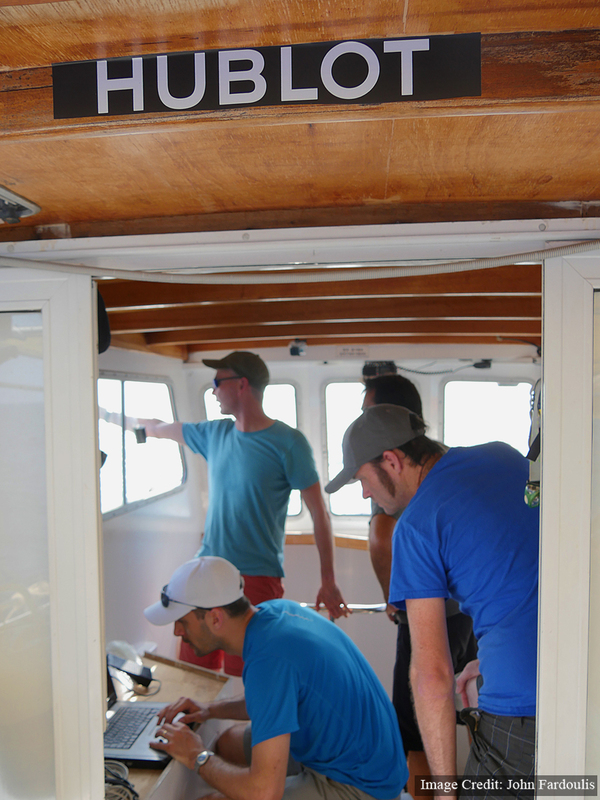 Sirius is being operated from the yacht GLAROS, generously provided by the Aikaterini Laskaridis Foundation as a research vessel for the project. 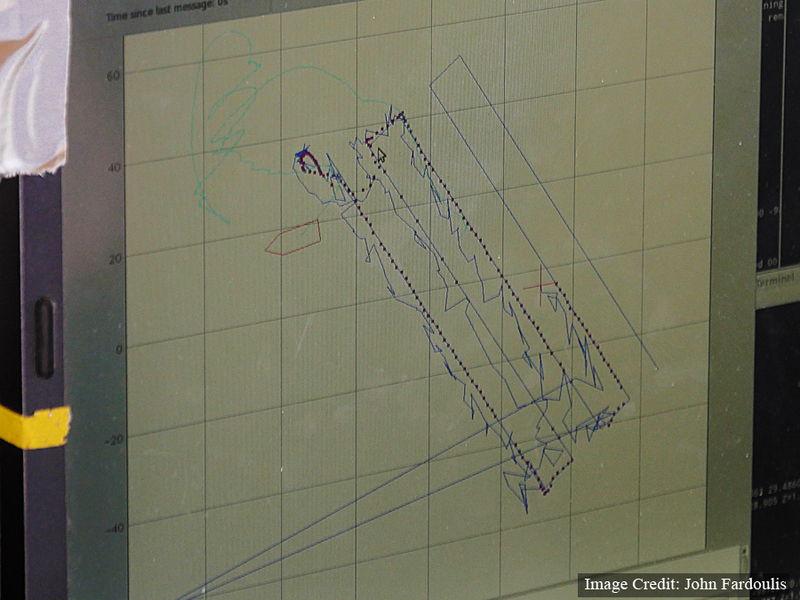 We’re currently over the Antikythera shipwreck, with the underwater robot (AUV) making the first high resolution digital map of the area using multi-beam sonar. Here’s the robot, minutes before diving to 15 metres above the bottom of the seabead to create a sonar map of the Antikythera shipwreck. It will do various missions, next taking stereo photographs to create a detailed 3D model of the site. 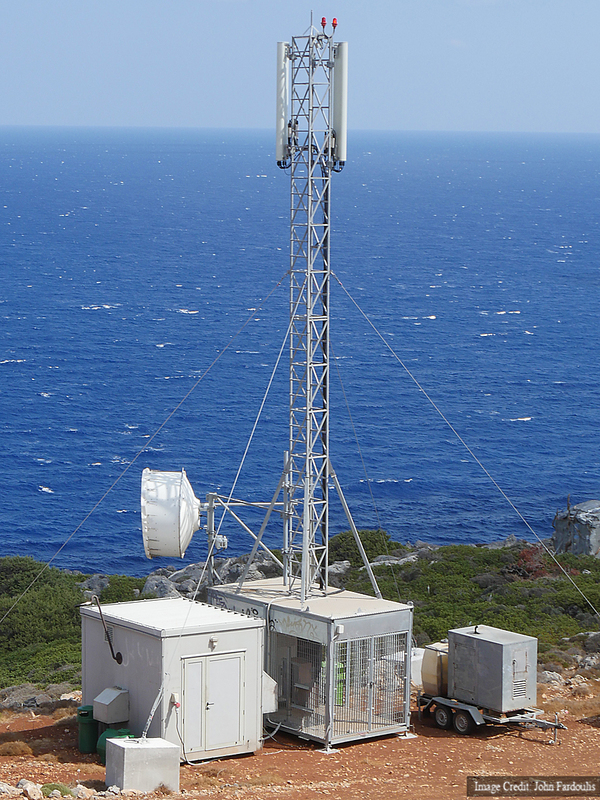 This update was provided live off the support vessel POSEIDON, at sea, over the top of the Antikythera shipwreck using Cosmote 4G technology. 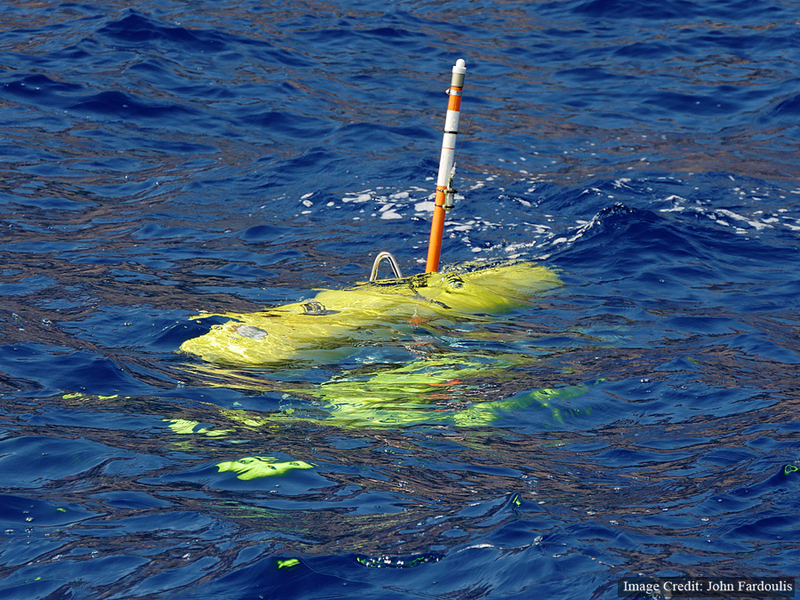 Tracking the underwater robot (AUV). The team from the Australian Centre for Field Robotics, creating history. Dr. Dimitri Kourkoumelis arrived at 3.30am this morning and is on board POSEIDON, supervising on behalf of the Ephorate of Underwater Antiquities. 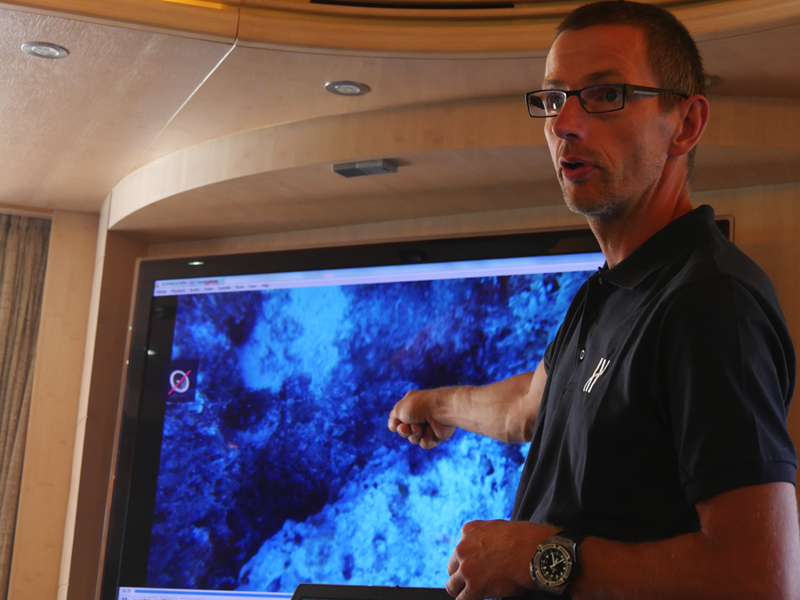 Cosmote has provided the technology which broadcasts this update from at sea, over the Antikythera shipwreck. There were 3-4 metre waves over the wreck site today, so AUV (underwater robotic) operations took place on the sheltered side of the island on the yacht GLAROS* and diving vessel, POSEIDON. 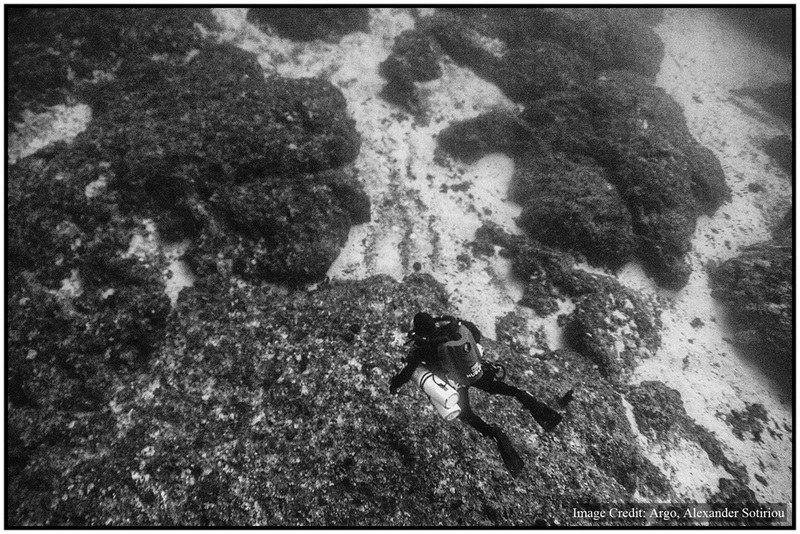 So instead of diving, the archaeologists examined the general area near the wreck site, discussing theories of how it may have sank at the hands of Roman sailors possibly during similar conditions, more than 2000 years ago. 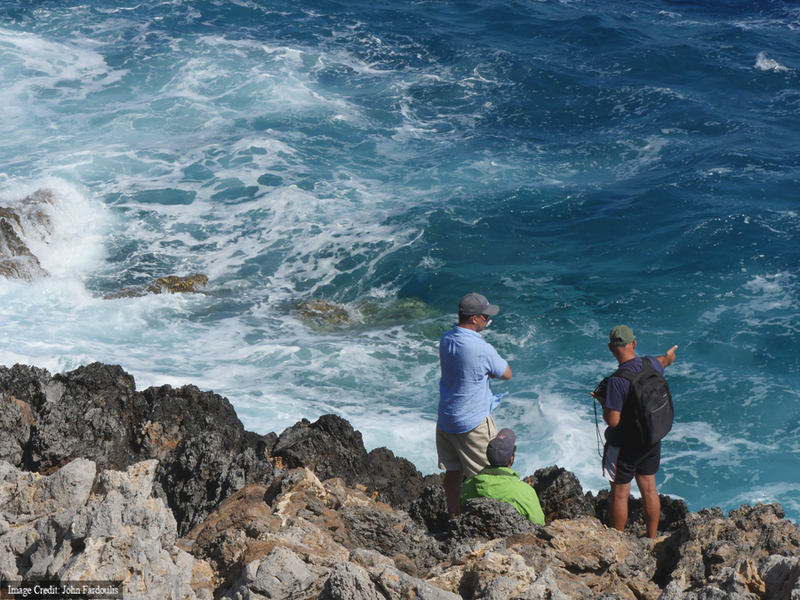 Archaeologists Dr. Brendan Foley, Alex Tourtas and Dr. Theotokis Theodoulou examining the coastline adjacent to the Antikythera shipwreck. 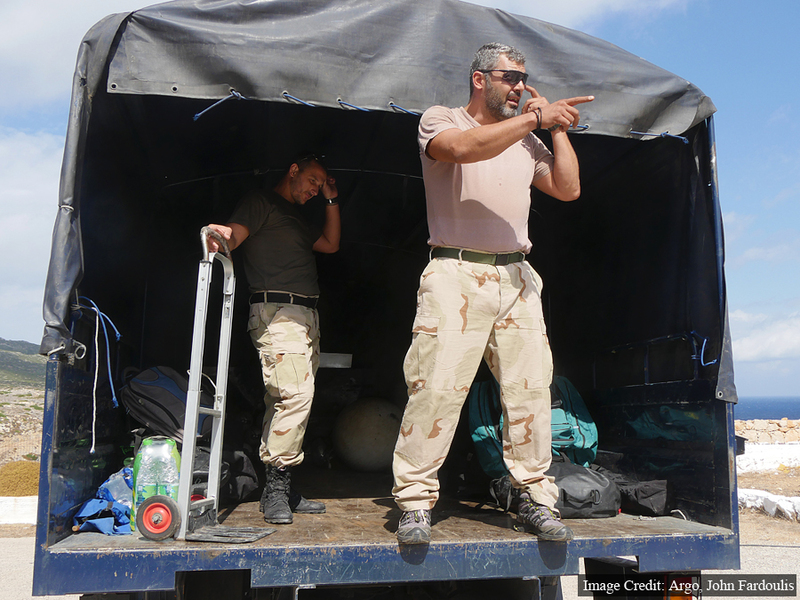 Operations expert, skipper and technical diving instructor, Alexander Sotiriou theorizing about where the ship may have hit. 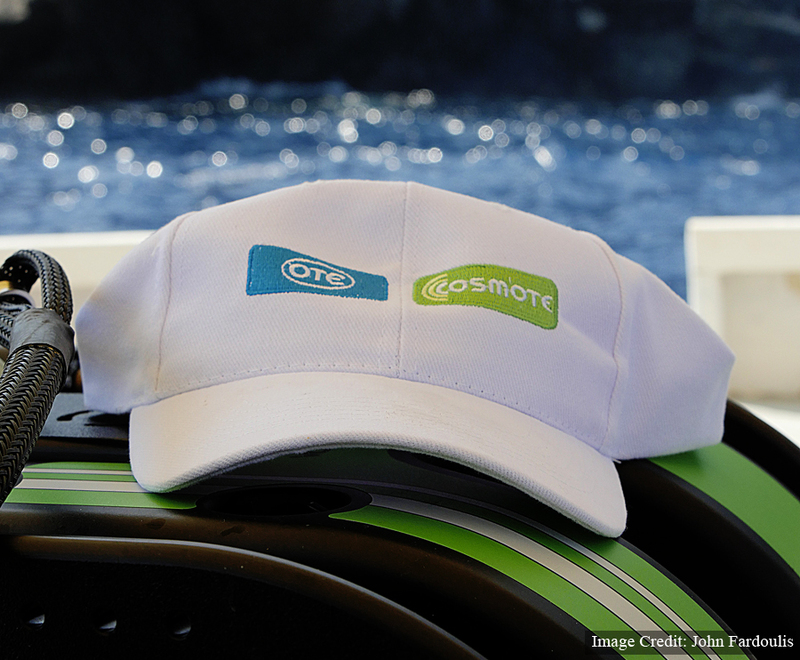 Cosmote has installed a dedicated 4G base station overlooking the wreck, so we can share information from at sea. It’s one of the fastest in Greece, clocking faster than 90Mb/s downloads via the mobile network. * The yacht GLAROS has been generously provided as a research vessel for the project thanks to the Aikaterini Laskaridis Foundation.